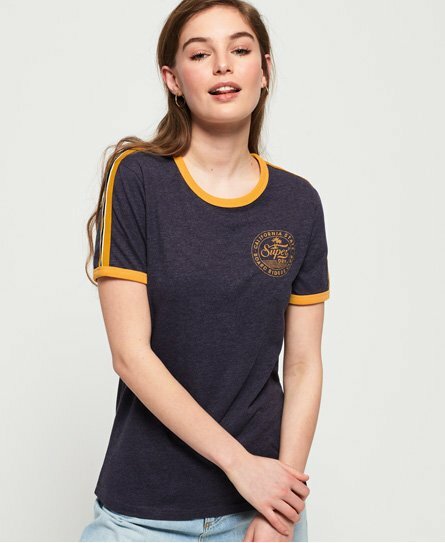 Superdry women's Riders Club Ringer t-shirt. This classic fit t-shirt features short sleeves, crew neckline and a printed Superdry graphic on the chest and back. Finished with striped detailing down the sleeves and a Superdry logo tab on the hem. Perfect for pairing with denim shorts and sandals this season.